I’m a big fan of splurges, experiences where you go big and spend a lot on some special occasion that will stand out and be remembered, potentially, for the rest of your life. But splurges come with some significant caveats if they are to work as intended. First, they need to be rare. Justifying that fancy new outfit as a splurge doesn’t work if you just did the same thing last week. Second, they need to be somewhat reasonable. Spending a month’s salary on great seats at a playoff game or an opera performed in some exotic setting makes sense if you know you can make up that expense later on. If it leaves you in debt or jeopardizes necessities, you better think twice. Splurges should stretch you, not break you. Optimally, you save up for them beforehand. Doing so builds your anticipation for the event and helps insure you can afford it. Third, they should align with your greatest passions, not just a passing interest. If you’re going to spend that much money, make sure it’s on something you’re pretty sure ahead of time will be both memorable and meaningful to you. Fourth, they need to deliver. And that’s not easy. The problem with splurges is the pressure they create. You’re spending a lot of money, so your expectations are somewhere north of Saturn. If one or two aspects of the activity don’t turn out perfect, the whole experience is diminished. Maybe even ruined. And all you’re left with is disappointment and the deep dread of receiving your next credit card statement. 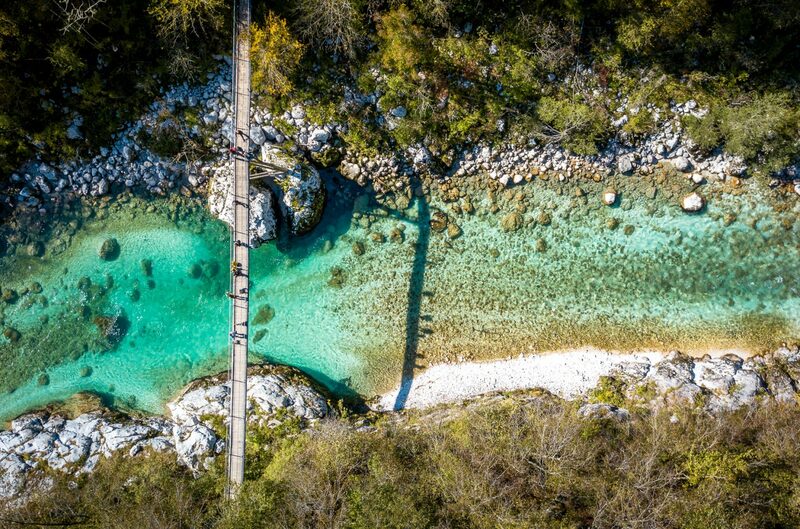 Let me give you an example of a recent splurge on a trip to Slovenia with my wife, son and daughter-in-law to give you an idea of what works and what doesn’t when it comes to splurges. 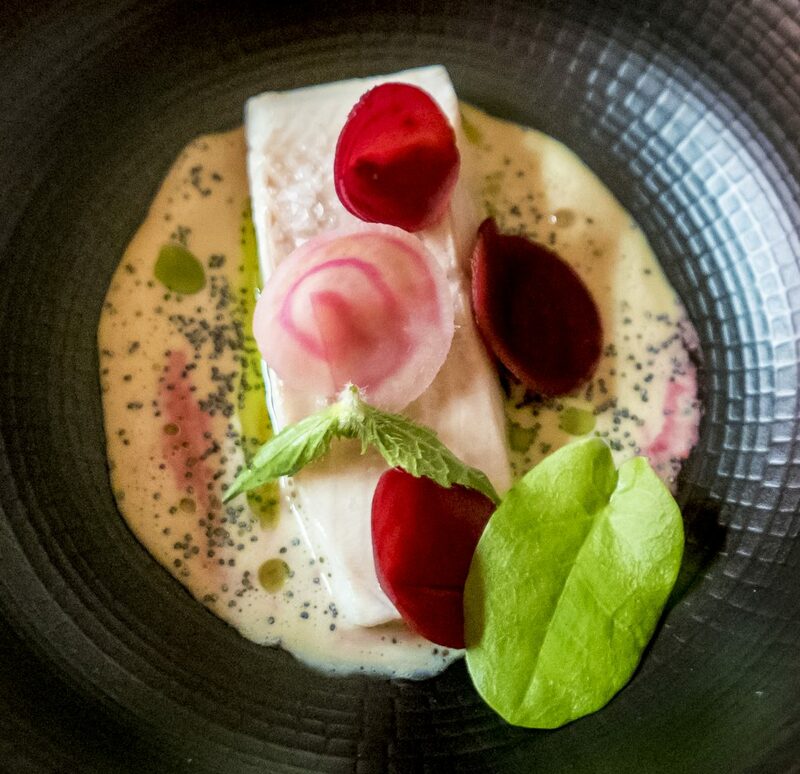 We decided to visit Slovenia in large part to try out the restaurant Hisa Franko outside the small town of Kobarid. The chef, Ana Ros, was not only profiled on the Netflix series, Chef’s Table, she was also deemed the world’s best female chef last year. Not Slovenia’s or even Europe’s. But the best female chef on the planet. Dining at her restaurant seemed splurge-worthy. The problem was, we didn’t realize ahead of time just how much of a splurge it would turn out to be. Let’s be clear up front: The dinner was astounding. 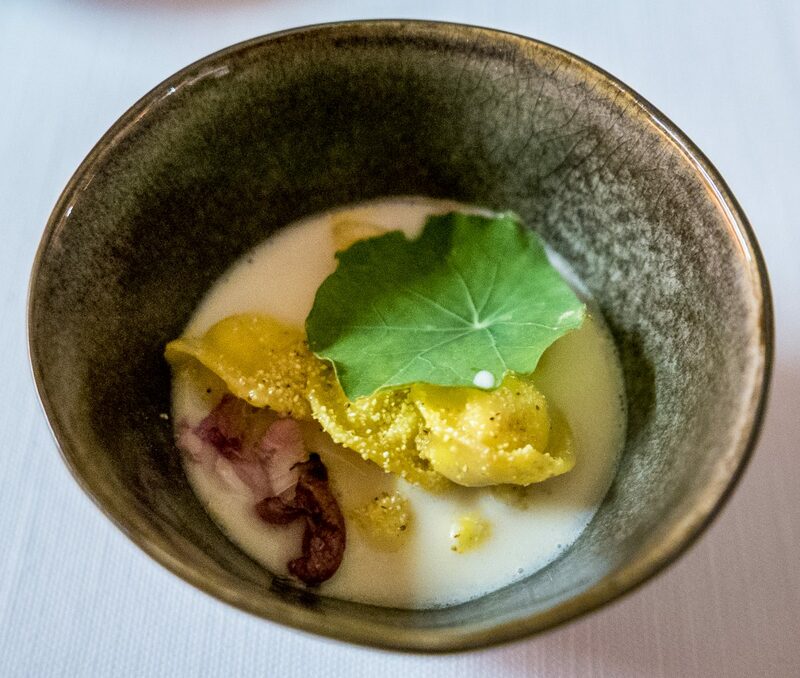 We had eleven official courses (plus a few additional starters and a third — yep, third — dessert thrown in), each offering combinations of tastes I’ve never (or rarely) had before (you can read the menu for yourself if you’re interested). However, all of that goodness still didn’t push it over-the-top in terms of a splurge that becomes a “defining moment” on a trip. What follows are some of the reasons why. First of all, I messed up on the price. 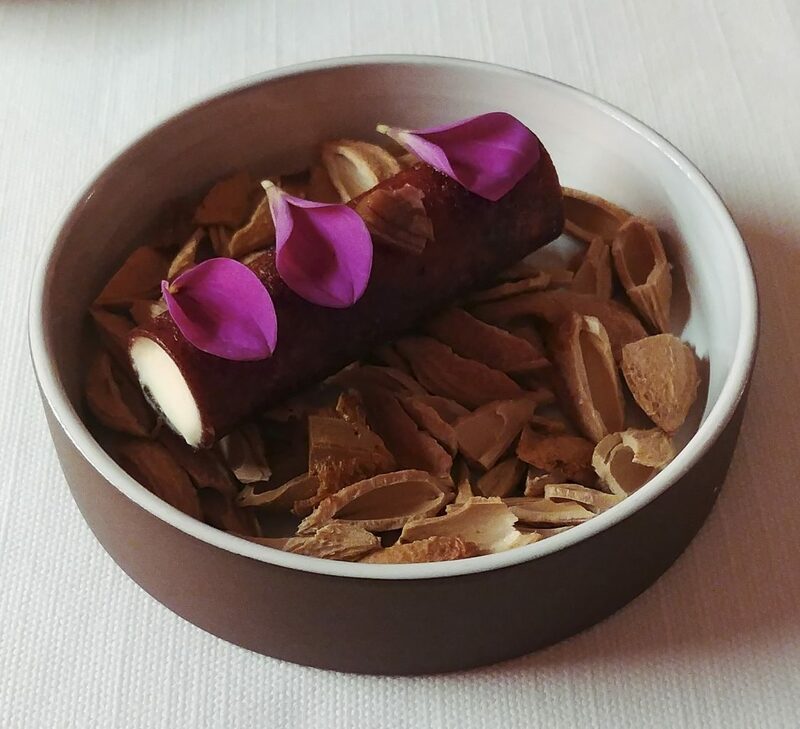 We booked way back in March for an October dinner and at the time, I had read that the price for the eight-course tasting menu was 75 euros per person. I unfortunately didn’t bother to double check the price when I received an email a week before we left for the trip informing me that the eight-course menu was no longer being offered at dinner time. I figured we’d pay a bit more for the 11-course meal. But I didn’t realize it would cost us 150 euros (about US$175 per person, not including drinks or tip). Thus, the shock of the price when we sat down to eat created cognitive dissonance that was hard to overcome. What made it worse was realizing it was my fault for not confirming the price ahead of time. 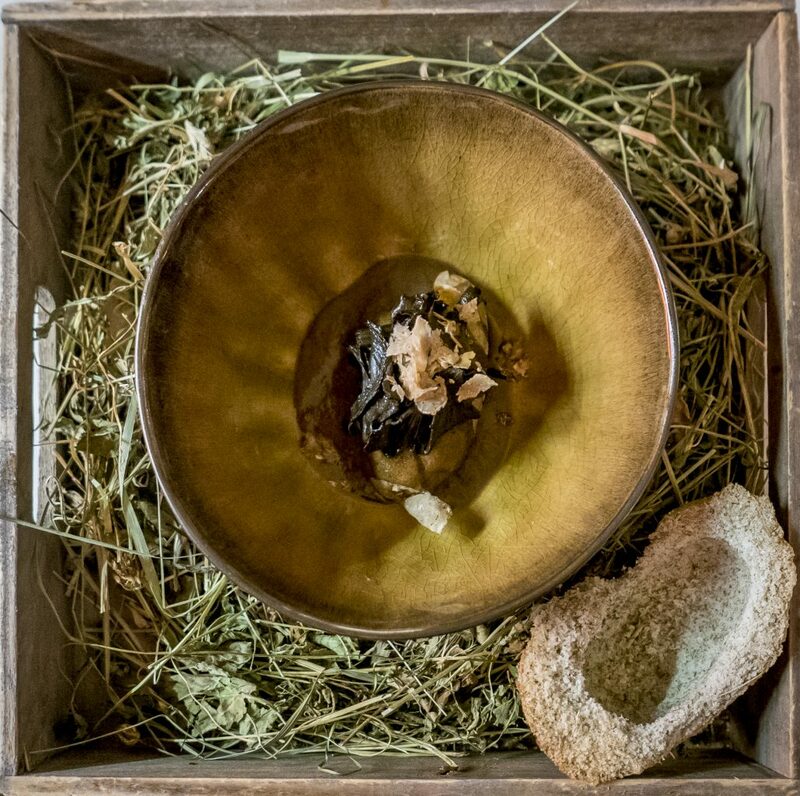 Potato cooked in hay. Again, it was helpful that they explained that the thing in the lower right corner is what the potato cooked in and is not edible. 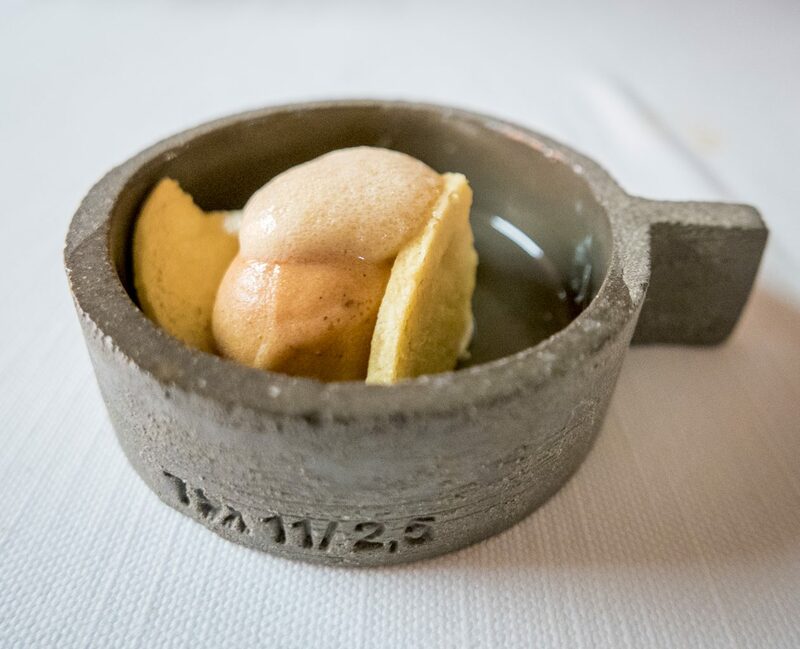 Second, our expectations were so high that while we enjoyed most of the dishes (the parsley and porcini mushroom crumbles on sour milk ice cream was a stretch too far for some of us), they didn’t blow our taste buds away the way we had hoped. That’s not a knock against Ana Ros’s amazing food. Her creativity and the presentation of each item are dazzling. It’s the inherent problem of expensive splurges: You go in with such unrealistic expectations that nothing in reality can reasonably match them. Third, if you’re going to splurge, make sure you’re able to grasp the nuances of the experience. Personally, I may not really be able to appreciate the genius of Ana Ros. When I was younger, I once noted that I could tell the difference between a $50 stereo speaker and a $500 one but my hearing and training were incapable of discerning the difference between a $500 speaker and a $5,000 one. Such is likely the case for us at Hisa Franko. 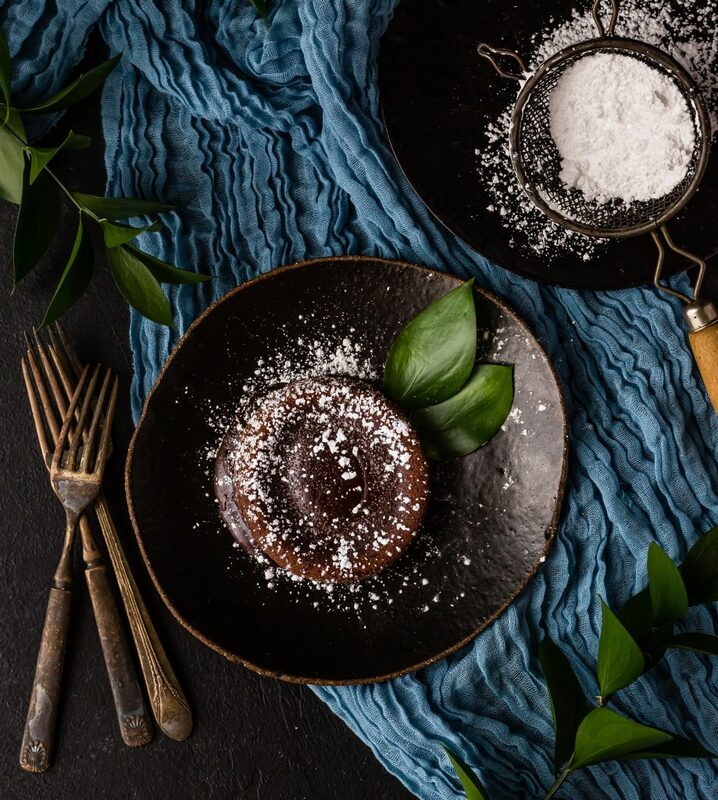 I recognized and applauded the inventiveness and the unusual combinations – these truly are works of culinary art rather than simply food prepared in a novel manner. But I may not have been able to value it as much as say, a food critic with a more discerning palette. Finally, and in hindsight, probably the most important, I believe we did the whole splurge for the wrong reasons. We have friends who have splurged on fine restaurants like this and they love it. But for us, for all the value in trying one-of-a-kind food like Hisa Franko’s, we realized that it’s not really our thing. We dined at a restaurant in Kobarid the next evening that specialized in local cuisine. It wasn’t fancy. But for us, the atmosphere, the new tastes and the hospitality made it as enjoyable an evening as the meal the night before that costs us ten times the price. Thus, it comes down to this: Know what matters to you. Discovering a simple family-owned restaurant on our own that produces a remarkable meal for little money, that’s more of what delights us. 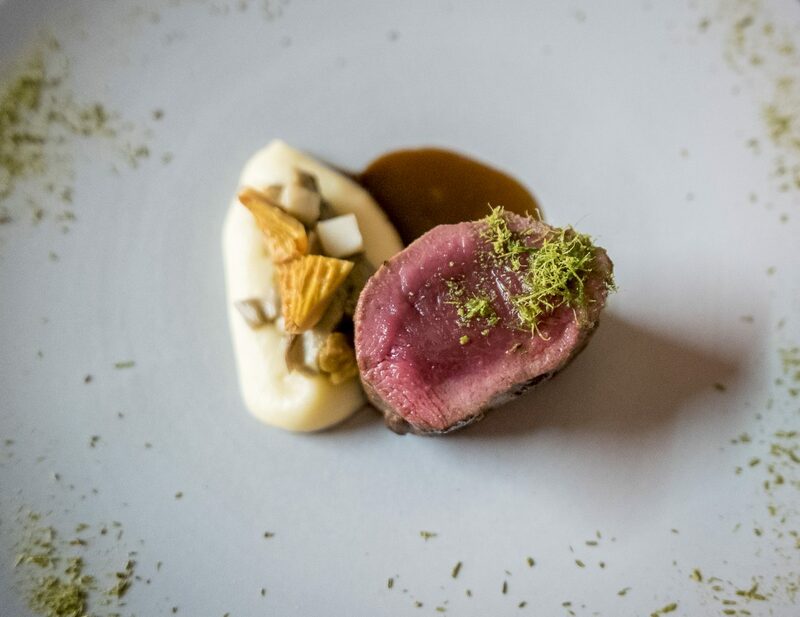 Or if we’d taken a cooking course with Ana and had hands-on involvement in the meal – learning from a great chef, combined with eating – that would have been worth the same investment as eating at Hisa Franko – to us. And that’s the key. To us. Know your own longings and pursue them. Hunt down experiences that satisfy you, not what others tell you works for them. In short, choose your splurges carefully to maximize the likelihood that they will reward you well. In summary, our evening at Hisa Franko was one we’ll likely remember, but not a defining moment. Yes, it had elements of a defining moment, but not enough of them. It was, in part, an elevated experience. 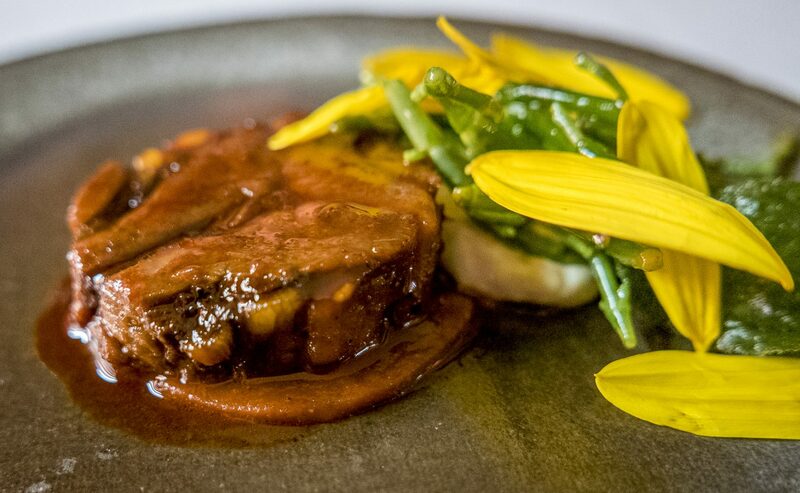 (We don’t dine, for example, on beef tongue, oysters, red bell peppers and roasted salad of purslane and borage every night. Not even every Wednesday night.) There was also some accomplishment in getting there (it’s way out in the Slovenian countryside) but not really a sense of pride. In fact, when we looked around the dining room and realized that Americans (including us) occupied six of the eight tables, even what we’d thought would be a contributing factor to the experience – finding a place far from home that few others get to – even that got knocked down a notch. We did have taste combinations that provided new insights, but not ones that stuck with us beyond the evening. And finally, over the four-hour span of the full meal, we definitely had a great sense of connection, to each other and to the charming, yet very down-to-earth wait staff. 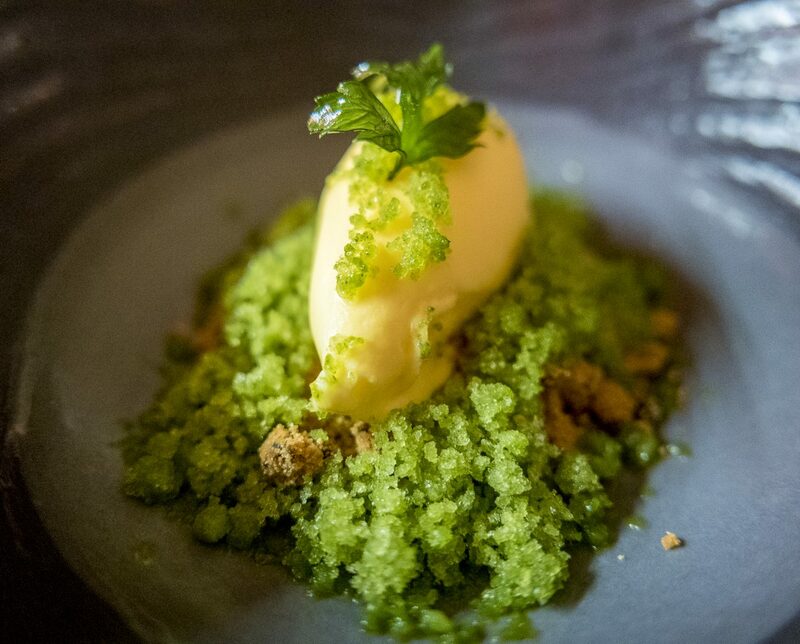 (When my wife mentioned, for example, that she didn’t like the parsley on the ice cream, one server scrunched up her nose and amiably concurred). 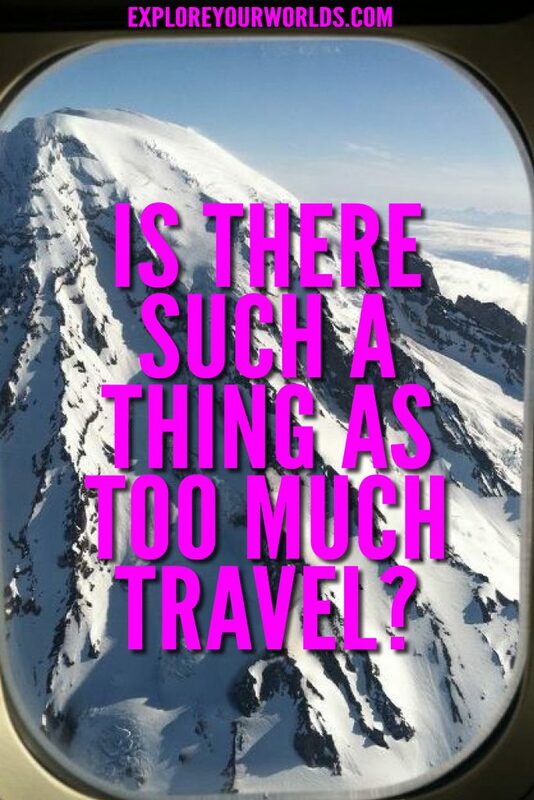 What prevented it from rising to the level of a magic or defining moment – a splurge worthy of the investment – was the combination of value for the money and investing in the wrong kind of experience for us. You have some sense of what you’re getting into. The more expensive the splurge, the more careful research you should do up front. The splurge feels worth the extravagant expense. You do something that aligns with your values, interests and, since it’s a splurge after all, your deep longings. You keep your expectations low so you leave room for surprise. Surprise is critical to a splurge. That probably was the biggest missing piece of all for us: There were some intriguing new tastes, but no true revelations. What the evening lacked most was the crucial element of surprise that is key to delight and essential for that even higher-level response, wonder. Finally, if you haven’t done so already, check out my piece on defining moments noted above. It shows that sometimes the most powerful experiences, the magic moments that stick with you forever, don’t have to be splurges. In fact, often when they align more with what you know delights you, you can substitute ingenuity and personal attention for money and come out with a richer experience. It’s a splurge of an entirely different nature with only upside possibilities. 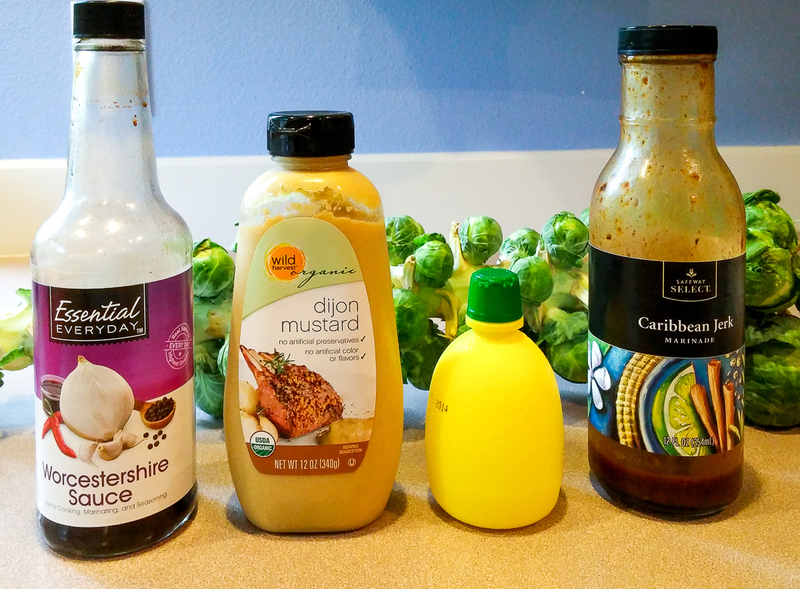 My now not-so-secret ingredients to make Brussels sprouts or other bitter vegetables quite tasty. This morning, as I ascend the stairs, I encounter a scent at once delightful and curious. Delightful because of the wondrous aroma. Curious because none of the supposed ingredients are currently in play at our house. What wafts my way seems to be a delicious blend of Chanel Number 5 and bacon. To my male olfactory receptors, this is clearly what heaven will smell like. The combination evokes both hunger and romance, a savory/sweet blend that brings to mind Christmastime, dinner parties and awakening ravenous after arriving home from abroad. And yet, my wife has not applied the suspected perfume nor have we cooked any bacon lately. The phantom scent, while welcome, reminds me that when smell and memory collide, the results frequently defy logic. Scents are famous for triggering memories, even if we don’t understand why or can’t pin down the direct connection. The same applies, to a lesser degree, to tastes. But with tastes, I’ve found that not only can they evoke memories, they can also spark new ideas. 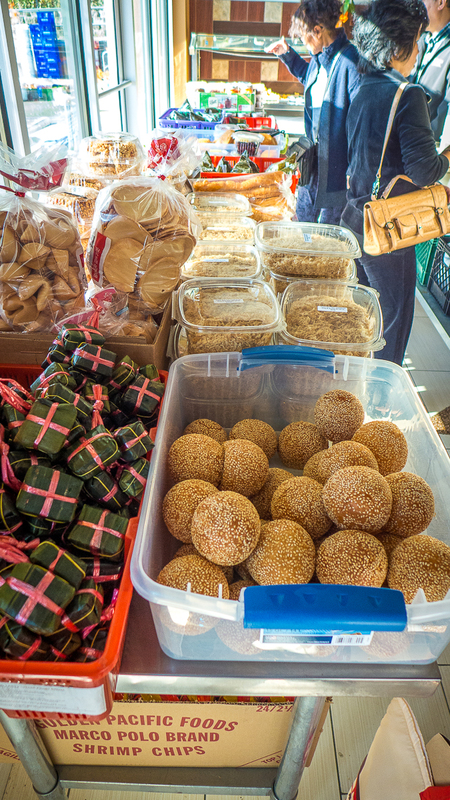 Take, for example, our food tour of Seattle’s International District. There I encountered a taste — the sweet, delicate and clean flavor of the salad dressing/dipping sauce used for our lunch. Later investigation revealed the contents to be fish sauce, scallions, ginger and sugar. Hmmm. Sugar. In that one taste, I had the beginnings of a plan. A dream really. 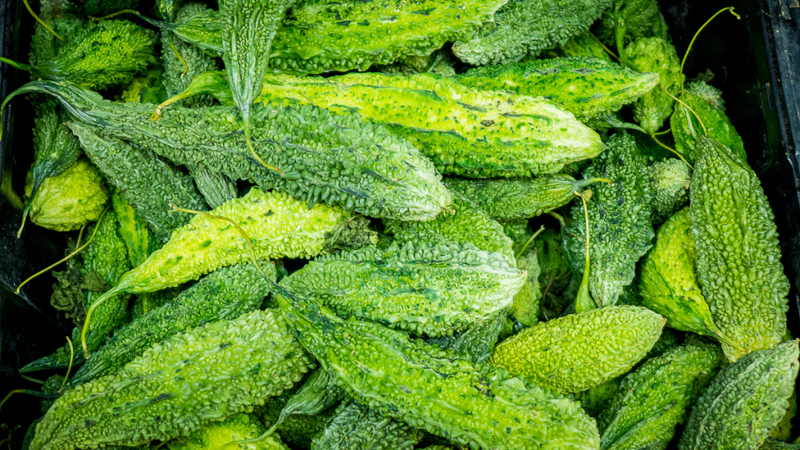 A nutritionist’s nirvana: Make palatable the very vegetables that so many people hate to eat. Can you actually make Brussels sprouts taste delicious? It started with broccoli. As a kid I always wondered how something could be good for you that, when cooked, smelled like the substance you clean off your shoe. And not just broccoli. All the cruciferous vegetables: cauliflower, cabbage, Brussels sprouts. Let’s face it. They stink. They are also an acquired taste (bitterness does not come naturally to the human palette). So how do you get around the smell and the bitterness? For the smell, simply don’t overcook them. Al dente means “no stinky” in my kitchen. The longer most cruciferous veggies cook, the more they smell like a frat house bathroom. Don’t overcook them. But what about that bitter taste? That’s where my fish sauce and sugar moment kicked in. Why try and simply overpower the bitter taste of broccoli by drenching it with a cheese sauce as so many parents do when there’s a more elegant approach: Offset bitter with sweet. To do this, get a bottle of General Tso’s sauce (Orange Chicken sauce will do and even Hoisin sauce works in a pinch). 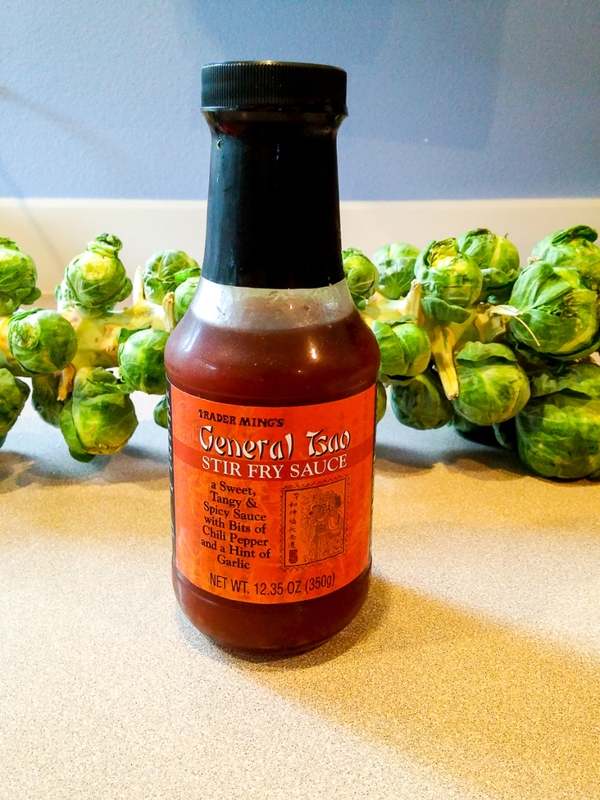 Trader Joe’s has their “General Tsao’s Sauce” and many supermarkets and Asian food stores carry the other two. Add about a tablespoon per two person serving to Brussels sprouts as you stir fry them or mix in before serving if you steam, boil or roast them. Viola! No bitterness! And if you need pointers on various ways to cook Brussels sprouts, check out this helpful article. This is meant to be a light additive, not a heavy sauce. The amount listed is enough to cover (or rather, infuse) a serving for four. I cut the Brussels sprouts into slices or quarters (they cook faster this way, so remember, don’t overcook) and, for the final touch, I add the piece de resistance: some crunchy bacon bits. The slightly sweet, spicy and flavorful combination does something amazing to the Brussels sprouts: It makes them something you actually want to eat. And of course, the bacon helps. Bacon always helps (unless you’re a vegetarian). Wearing Chanel No. 5 while you cook, however, is optional. 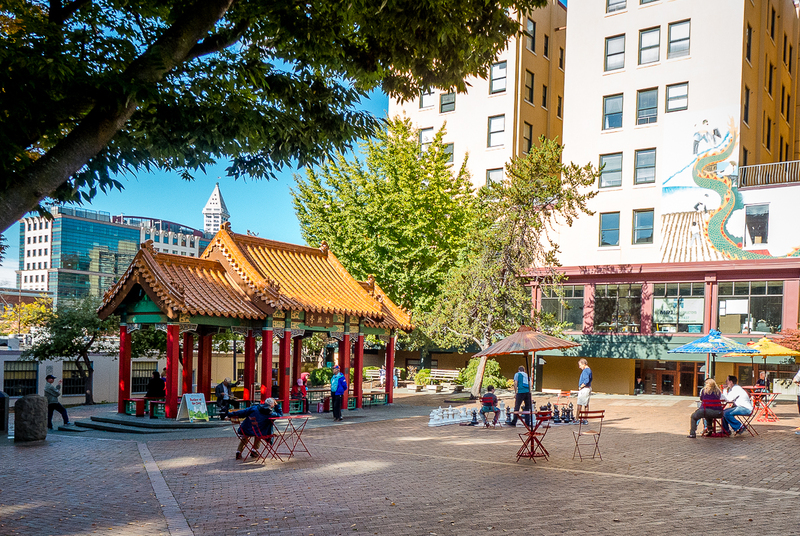 We started our food tour of Seattle’s International District and Chinatown a few weeks ago with, naturally, food. Cream puffs to be exact. Our tour, led by Taylor Hoang and assisted by Rayleen Nguyen both of Pho Cyclo Cafe, departed from the Huong Binh Restaurant in Little Saigon. This Vietnamese dining place is run by Taylor’s mom and is, as we’d soon find out, amazingly good. First stop from there: Saigon’s Bakery and Bubble Tea where we tasted scrumptious cream puffs; light and not too sweet. I think some of our fellow guests on the 12-person food tour of Seattle’s International District could have gladly just spent the rest of the day there in cream puff heaven. But onward we pressed. From there we visited Lam Seafood on King Street near 12th. 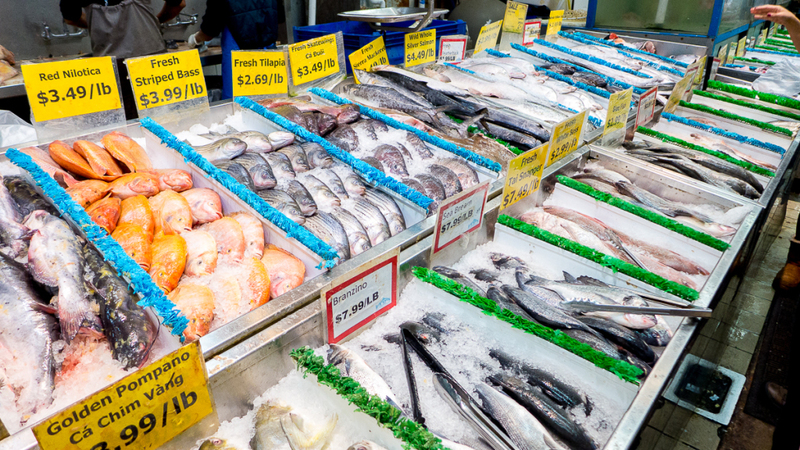 If you live in the Seattle area and you want fresh produce or seafood, come here. The prices are in many cases half to a third of what they are in the grocery stores and the selection, at least for Asian foods, is unbeatable. We came back later on our own to shop and stock up on sauces, as well as buy from a huge selection of mushrooms, vegetables and fresh fish. 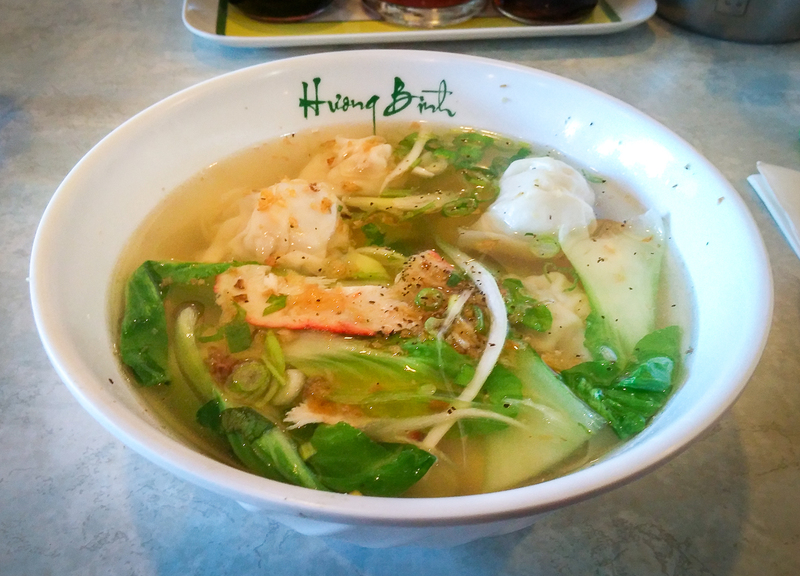 Back to the Huong Binh Restaurant for a wonderful soup of wontons, pork, shrimp, squid and quail eggs along with celery leaves, chive and fried shallots in a pork broth. That alone could have been lunch enough, but then came the “main course:” Rice noodles, grilled pork, pork meatball and grilled shrimp garnished with lettuce, peanuts, herbs, onions and a delectable sauce. Oh, and cookies for desert. Delighted and satisfied, our food tour of Seattle’s International District could have ended there. Our first course for lunch at Huong Binh. Delicious. 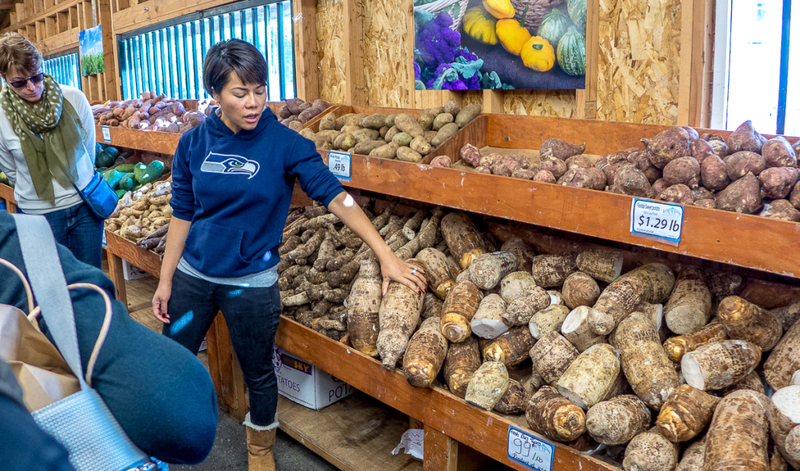 But wait (as they say in infomercials), there’s more on this food tour of Seattle’s International District! We headed from lunch down to Chinatown where we tasted dim sum, stuffed buns, barbecued pork and coconut-infused rolls. We learned of other places to shop, restaurants to try and gift items to purchase. By the time we finished, we were full. OK, more than full. Stuffed. And not just of food. We learned so much that day from Taylor that we’d never have uncovered on our own, at least not without considerable time and effort. It reminds me that sometimes a guide can make all the difference in your experience of a place. They show you how to use the things (ingredients in this case) you find there that may be unique to that place. Here Taylor explains the various types of roasted meat you can get at King’s Barbeque House on 6th Ave.
And in this case, they also give you a little goody bag with containers for all the food you can’t possibly eat at the time, as well as a coffee press that Taylor showed us how to use at the end of the tour. 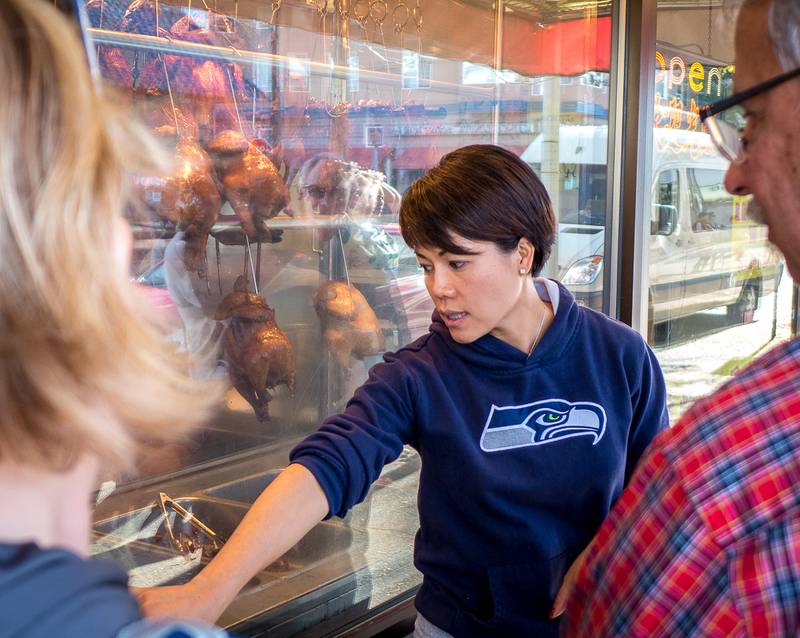 This food tour of Seattle’s International District was a wonderful experience that revealed a hidden world in our own neighborhood. It also showed how valuable a guide can be to any place that seems foreign to you…even ones so close to home.